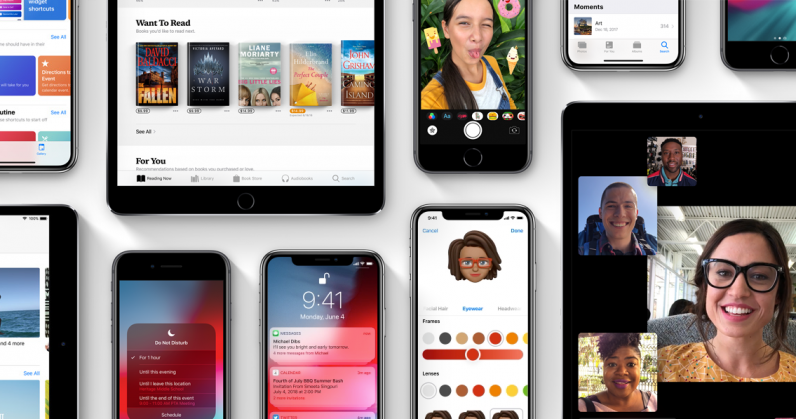 Apple releases first public beta for iOS 12. Here's how to get it. For those of you brave enough to take the plunge, today is the day you’ve been waiting for. Apple, earlier today, announced it’d be seeding the public’s first look at iOS 12. Prior to today’s public launch, the beta had only been available to iOS developers willing to fork over the $99/year for an account. But today, it’s everyone’s turn. With that, we should mention that those willing to install the public beta should be aware that, like all beta software, there will most certainly be frustrating glitches and bugs. According to 9to5 Mac, however, they’ve been fairly minimal: incorrect data in Maps, CarPlay crashes, and dropped calls on FaceTime. Again though, it’s a beta, and you should proceed with caution. Or, ideally, install it on an older iOS device you don’t rely on to be stable throughout the day. Alright, you’re still here. I guess that means you want to give it a try, right? First things first, be sure to do a fresh backup (Settings > Device > Backup) just in case anything goes awry. Next, you’ll need to enroll in Apple’s beta testing program. It’s free, and you can do that here. Once you’re signed up, Apple will seed the beta release to your iDevice once you’ve downloaded your iOS device profile, here. From there, it’s just like any other iOS update. Download and install it as usual at Settings > General > Software Update. During the beta period, releases are seeded rather quickly at first, and then begin to taper off toward the alpha release date. If the beta software is ruining your life, you can can unenroll at any time, here.